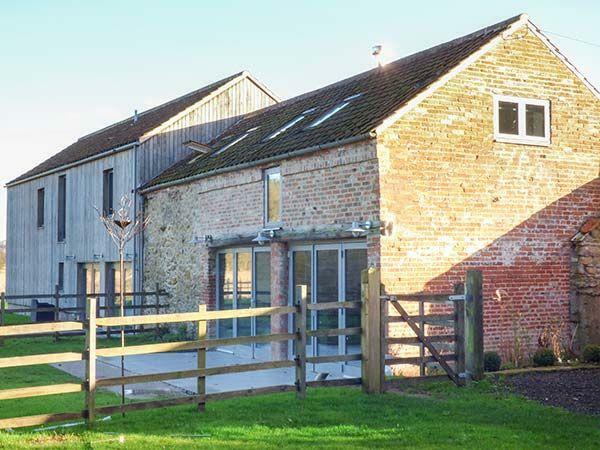 The holiday cottage of "Chestnut Cottage at Bluebell Glade" can be found in Tealby near Market Rasen in Lincolnshire. Chestnut Cottage at Bluebell Glade can sleep 4 people with 2 bedrooms to sleep your holiday party. Chestnut Cottage at Bluebell Glade has a bedroom makeup of: Mostly ground floor. Two bedrooms: 1 x first floor king-size double with TV and en-suite bath, shower over, basin and WC, 1 x ground floor super king-size double (can be split into two singles on request) with Smart TV. Shower room with shower, basin and WC. Open plan living area with kitchen, dining area and sitting area with woodburner. Separate lobby/utility area. It's worth looking at Chestnut Cottage at Bluebell Glade if you're after a family holiday cottage. These are the reviews for Chestnut Cottage at Bluebell Glade. There are 14 reviews. Great dog walks direct from door through surrounding woods. Lynda was very responsive and helpful with last minute requests. Highly recommended. Also worth visiting the Kings Head in Tealby (great dog friendly pub) and the local farm shop (amazing value butchers). The place was lovely, clean and comfortable. She catered for our little one and included a travel cot and high chair. Lovely peaceful area in the middle of nowhere but still only a 5 minute drive to a small town. Thank you for a wonderful first family holiday. The owner went above and beyond after we had a few issues with the hot tub. Will definitely be going back. Plently of space in the house and outside. Our daughter and dog loved it. We will be back. Liked the welcome pack. My wife and I loved the hot tub (nice touch from the owner to have it ready for use). The cottage was converted to a high standard with good size rooms. As we have dogs this was an ideal location located in Willingham Woods and the surrounding area for dog walking. I did my research and found many good pubs that allowed dogs in. If your dogs like the water I recommend Hubbard’s Hills in Louth a lovely location ideally suited for dogs and if it’s your thing a picnic. Very pleased with our week. We also received a hamper of goodies. Enjoyed our visit and thinking of going back. 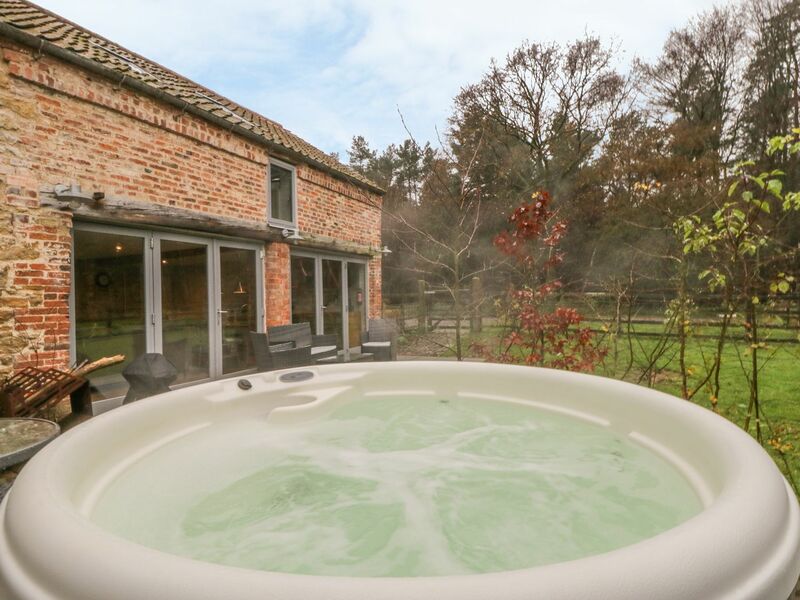 Hot tub was a luxurious experience and the style of the cottage was of the highest standard. Can’t recommend enough, we will be rebooking! Absolutely wonderful 2nd stay in this cottage and hope to return again next year. Nothing too much trouble for the owner who was just a message away to answer any questions, lovely welcome hamper full of goodies from the local farm shop, cottage clean, modern, well equipped with everything we needed for a family stay, hot tub amazing, setting very private and secluded but within easy reach of local shops and pubs with great walks on the doorstep for the dog - all for an excellent price!! Can’t rate highly enough!! Really peaceful and quiet but not far from the villages of Tealby and Market Rasen. The cottage had everything we needed and was very clean. Would recommend! What a wonderful place. The setting is quiet and isolated. The cottage is lovely all modern lovely facilities and brilliant hot tub. Spent hours in it watching the birds and clouds. Really nice walks for the dogs at the end of the path which they enjoyed. My mum and daughter both enjoyed it here too. The owners are very friendly and helpful. If you're looking for other cottages around Chestnut Cottage at Bluebell Glade, we've got some cottages below which may take your liking. There are 18 cottages within 5 miles of Chestnut Cottage at Bluebell Glade - and they have reviews too.